Experience Africa Tours is an income generating business created to support Africa Volunteer Corps. By traveling with Experience Africa Tours, you support AVC and help us impact lives across Africa. From the floor of the Ngorongoro Crater to the white-sand beaches of Zanzibar, Tanzania will leave you in awe. 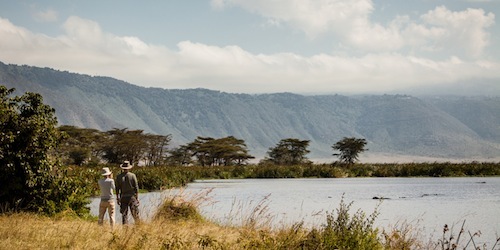 Summit the highest peak in Africa, swim in a pristine crater lake, watch lions play in their natural habitat, bath in clear blue hot springs, eat delicious local foods, and explore cities, villages, and markets. Traveling with Experience Africa Tours, you will take in the rich cultures and breathtaking landscapes of Tanzania.